The College is characterised by the contrast between the formality of the front quadrangle and the informality of the garden-like back quadrangle. 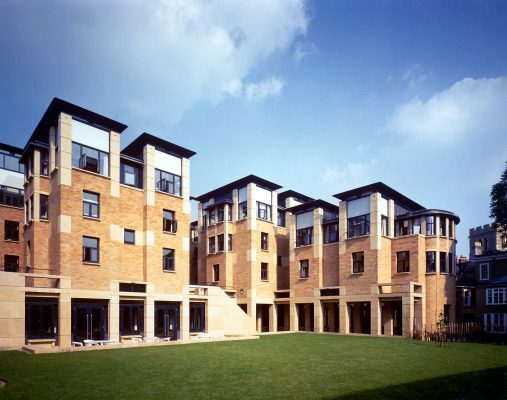 The Bowra building re-affirms the collegiate character of Wadham and reinforces its boundary. The scheme was conceived as two phases attached to the gable ends of the cafeteria and library respectively, tying these loose elements into a new quadrangle. The two phases contain a surprisingly large amount of accommodation, responding to the need to maximise use of the only remaining undeveloped site. of the site to be developed, increasing perimeter relative to floor area, so most rooms have more than one aspect. Upper rooms have spectacular views of the spires and towers of Oxford. The towers stand on top of public rooms and are linked by the library terrace, which becomes a narrow lane serving each staircase, with the medieval tower of New College as a focus at its south end. 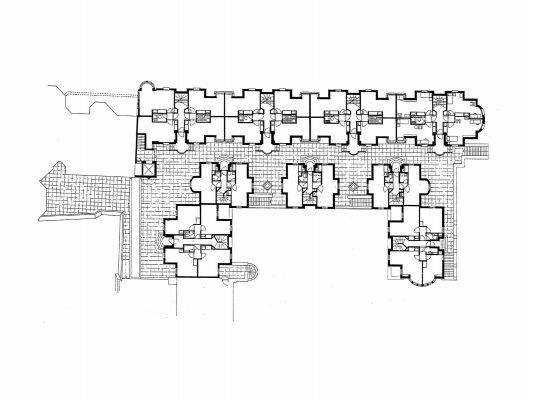 In contrast to the tightly planned verticality of the towers, the ground floor offers a series of linked public rooms using the full dimensions of the site to create long vistas through the interiors. 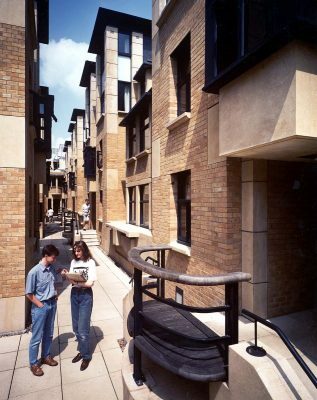 Externally, the building is brickwork with precast concrete components forming colonnades at ground level and columns supporting the towers to create the lively skyline. 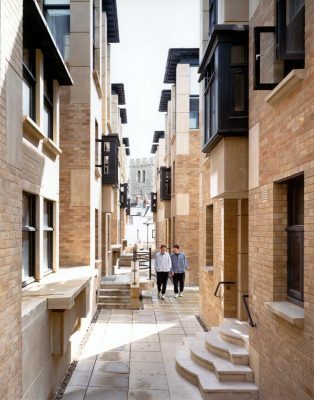 The colours of the brickwork and masonry reflect the stone of the existing buildings; window joinery is coloured with a specially prepared preservative stain to match the particular colour of the College’s existing doors and gates – ‘Wadham Blue’.